This spectacular image is believed to be the first time ball lightning was ever captured on film. 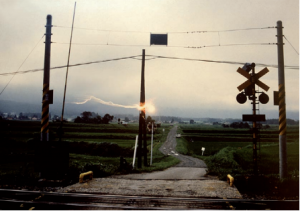 It was taken in Japan in 1988. It’s among the most bizarre and mysterious natural phenomena that has ever been observed. “Ball lightning” is reported as a fiery ball of light that moves horizontally across the sky. 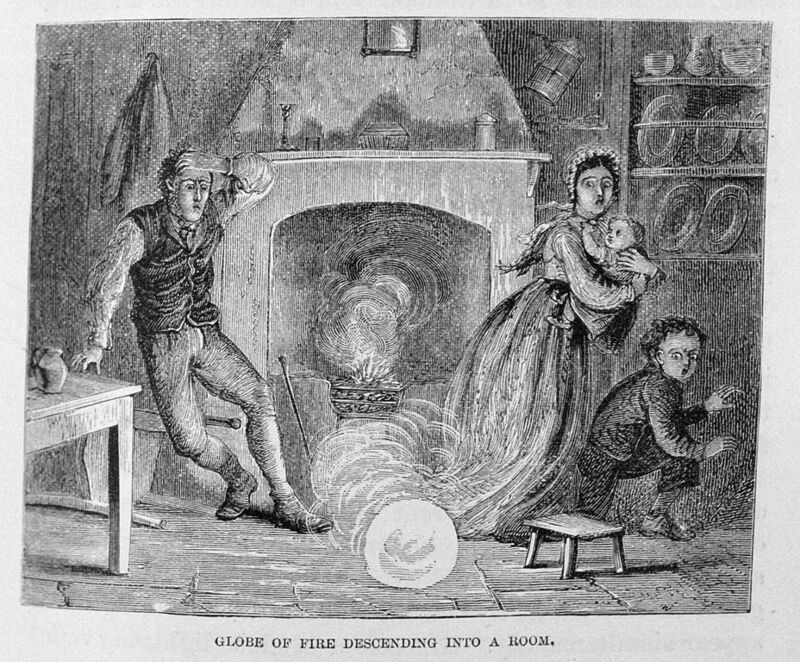 Reports of ball lightning date back to the Middle Ages. In 1638, ball lightning supposedly struck the church of St. Pancras in Widecombe-on-the-Moor, England during a terrific thunderstorm. It crashed through a window, knocked the minister off his feet, singed clothing, and melted metal, but left the wood unharmed. This incident spawned numerous legends about how a local man made a deal with the devil where Satan could have his soul if he fell asleep in church. Supposedly he fell asleep that day. It’s easy to see why the people of that time would see something like that as the work of the devil. It was a ball of fire that smelled of sulfur and tore through the heart of the church. Numerous ships reported seeing balls of fire in the sky. In 1726, the Catherine and Mary reported that a large fireball blew its mast into “ten thousand pieces.” In 1809, the HMS Warren Hastings reported three “balls of fire” struck the ship, killing two of their crew and setting their mast on fire. Tsar Nicholas II also reported seeing ball lightning as a child during a church service. These events were so rare and so spectacular (and terrifying) that a layer of mythology cloaked the real science, making it hard to separate fact from fiction. Numerous spectacular tales of ball lightning entering buildings and other structures and causing all sorts of mayhem have been reported. In many of these cases, where the truth ends and the legend begins is murky. However ball lightning has been positively observed passing through the cabin of a plane. With all this in mind and given the dearth of hard evidence, up until the 1960’s, scientists believed that ball lightning was just an urban legend, despite numerous credible reports. Then, in 1963, a group of scientists flying from New York to Washington, DC saw a bright ball of light move down the aisle and exit out the back of the plane. This incident sparked renewed scientific interest in the phenomena and a number of studies followed. A report in 1972 identified numerous distinct characteristics about it. One thing that is clear is that ball lightning is not very consistent. It almost always occurs during or immediately following a cloud-to-ground lightning strike. Their size varies widely but they’re typically about the size of a grapefruit. It’s about as bright as your standard floor lamp and virtually every color in the rainbow has been reported, with yellow, red, and orange being the most common. They last anywhere from a second to over a minute. Given that it took decades for scientists to even prove that ball lightning exists, it’s not surprising that its cause remains a mystery. A number of theories have been proposed. The most popular theory is ball lightning is in fact vaporized silicon. Earth’s soil is very rich in silicon dioxide, or silica, and the theory goes that when lightning strikes the ground, that silica is vaporized and split from the oxygen, turning it into pure silicon vapor. This vapor condenses into dust as it cools and is pulled together by the electric charge imparted by the lightning strike. The resulting “ball” of silicon-rich dust recombines with the oxygen in the air, a process (known as oxidization) that generates heat, causing the ball to glow. When the silicon burns out, the ball dies. 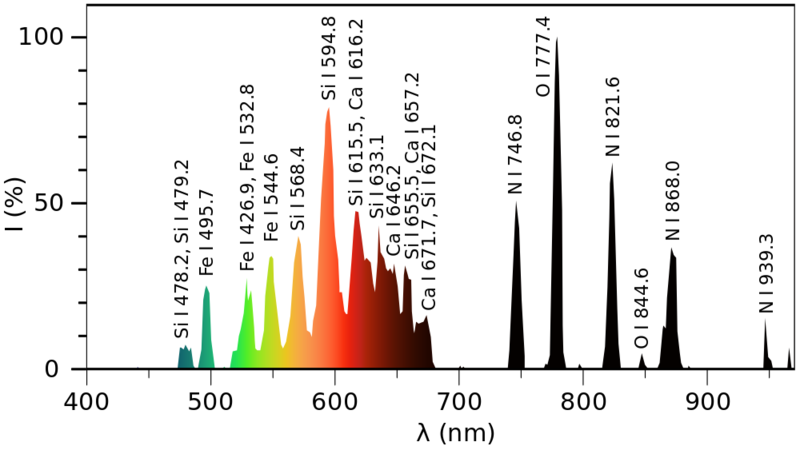 A spectrograph showing the mineral composition of ball lightning based on data from the Chinese team. Science has only recently started to get a handle on the phenomenon. Most recent experiments have focused on the vaporized silicon theory. In 2007, researchers from the Federal University of Pernambuco in Brazil were able to replicate this process. They shocked samples of silicon with electricity and were able to produce glowing balls about the size of a golf ball. Eli Jerby and Vladimir Dikhtyar of Tel Aviv University created ball lightning by accident while using a powerful microwave beam to drill into a chunk of silicon. Then, in January, 2014, scientists from Northwest Normal University in Lanzhou, China dropped a bombshell. In July, 2012, a scientific team from Northwest Normal was conducting a study of traditional lighting on the Tibetan Plateau when they observed a glowing ball streaking across the sky just 3,000 feet away from them, lasting approximately two seconds. Their proximity to the event allowed them to capture it with their instruments, including several high tech cameras and spectrographs. 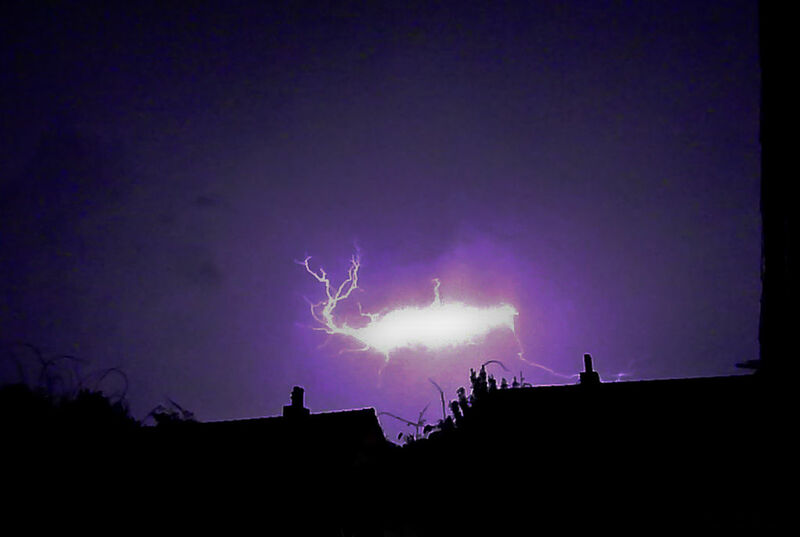 This image believed to be of ball lightning was taken in the Netherlands in 2011. Using this data, they were able to determine the composition of the ball’s emissions, which they published in a detailed report in 2014. With traditional lightning, usually only ionized nitrogen is observed. With ball lightning, however, scientists found atomized nitrogen, oxygen, calcium, iron, and…you guessed it…silicon. Calcium, iron, and silicon are all minerals that are common in soil. This is a big win for the theory that ball lightning is a chemical reaction caused by minerals in the ground that are vaporized and electrified by a lightning strike. There are still many things we don’t understand about this amazing and bizarre phenomenon. How does it go through walls and manifest in enclosed spaces? If it’s caused by lighting hitting the soil, why is it so rare? Are there different types? Many, many questions still remain. But we are getting closer. After hundreds of years of mysterious tales, ball lightning is finally stepping out of the realm of legend and into the realm of science. And I think that’s pretty exciting. This entry was posted in Uncategorized and tagged extreme weather, lightning, science, weird weather. Bookmark the permalink.